Let’s face it, when the giddy fun of dyeing, admiring, and hiding Easter eggs is all over there's one not-so-fun thing families are left with: piles of empty egg cartons. But are these innocuous little brown containers as boring as they seem? 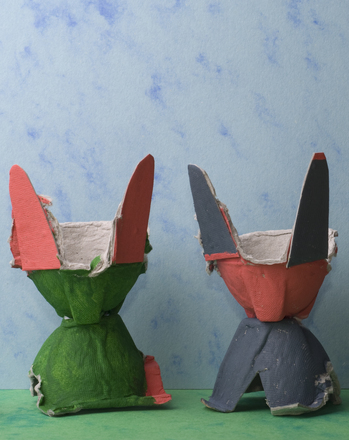 Sure you could throw them away or recycle them, but with a pair of sturdy scissors, some craft glue, and a little paint you can turn those cartons into wild abstract bunnies that would make Max Ernst proud! Start by painting the egg cartons until all surfaces are covered. Don’t be limited by traditional “bunny colors.” The more wildly vibrant the paint job, the more beautiful the bunnies! When the cartons have dried, help your kid carefully cut the carton into smaller pieces. The cartons can be “deconstructed” in any way you choose. You can simply cut out each individual “cup,” or you can cut the cups and the lid into even smaller pieces. Once the egg cartons are completely disassembled you are ready to begin putting together your bunnies. Let your child’s imagination run wild. Which parts of the carton could look like ears? Which part most resembles a belly? The idea is not to churn out a perfect rabbit replica, but to expand your child’s creativity through the hands-on process of creating abstract art! And if your child turns out to side more with the Realist movement, she can always add some googly eyes and a pom pom tail to her creation. And with that, you’re done! 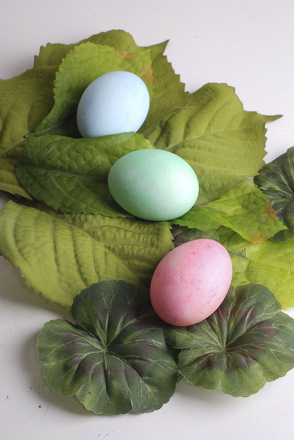 Your kid has created do-it-yourself Easter decorations worthy of a spot at the Smithsonian! 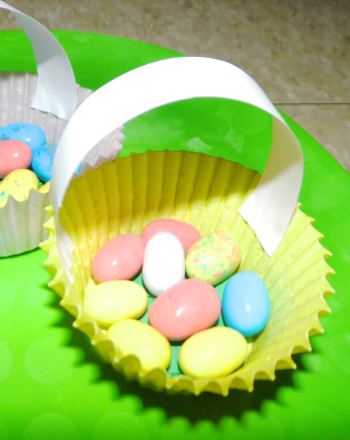 Do you love decorating Easter eggs? 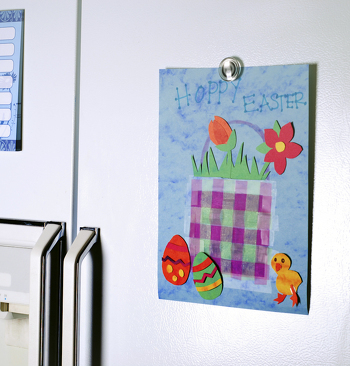 Put your kids' creativity to the test and have them write a story about their favorite Easter egg decorations! 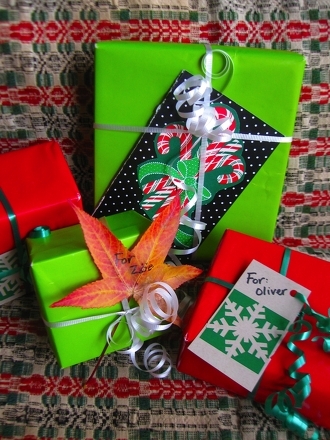 Brighten your home with hand-made Kwanzaa decorations, colored by you and your little ones! 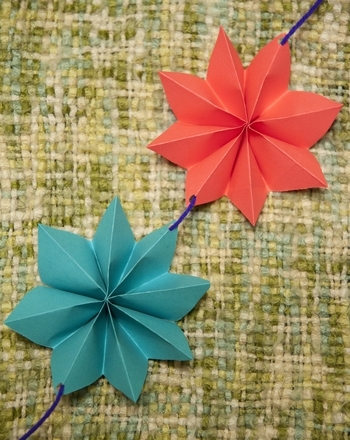 These cut-outs can serve as a great tabletop decoration. 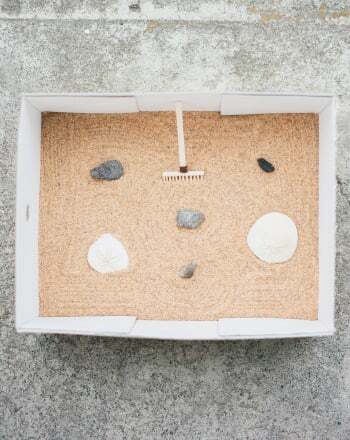 Soothe stresses and calm fears with this DIY Zen garden -- all you need is sand, stones and a shoebox.